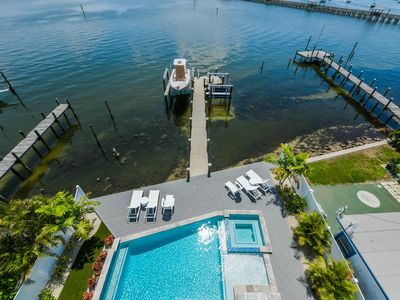 A Boaters paradise, bring your boat and tie it up to the private dock on the Intercoastal Waterway in your own backyard! 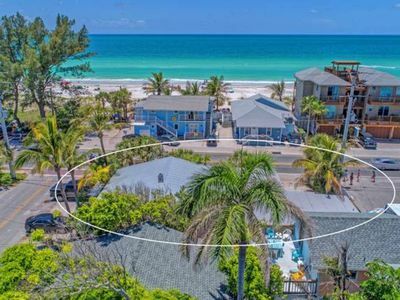 This incredible new-construction directly waterfront home has views of Bradenton Beach marina, downtown Sarasota and the Sunshine Skyway bridge! 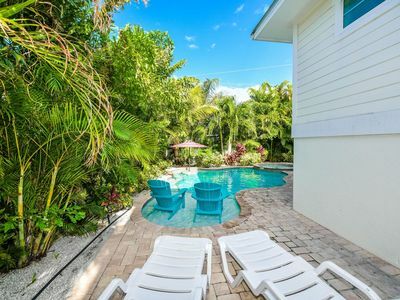 From your living room or bedroom or rooftop deck you can relax and watch the boats pass by, or wave to the dolphins and manatees playing in the water. 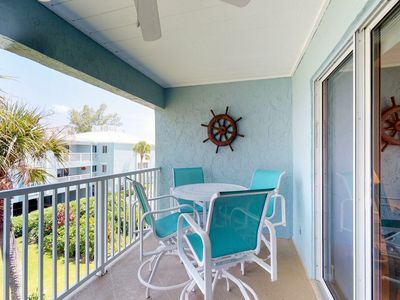 Bayfront Retreat has decks on each floor so you can enjoy every moment of our beautiful Florida weather while you vacation. 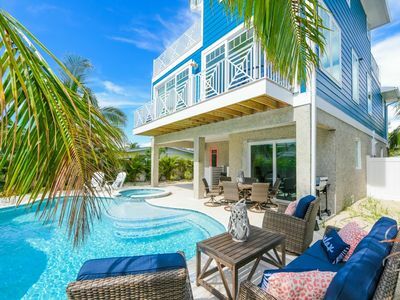 This luxury vacation home has everything you could want for the whole family and is just a short walk away from the famous sandy white beaches of Anna Maria Island and the fun of Bridge Street with multiple restaurants, bars, shops, mini golf, and more! 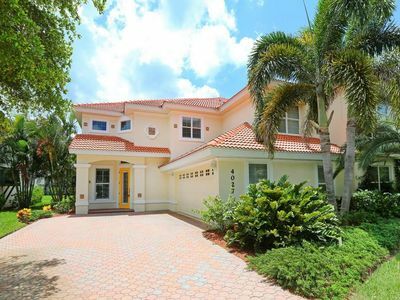 This home has 5 bedrooms and 5.5 baths. 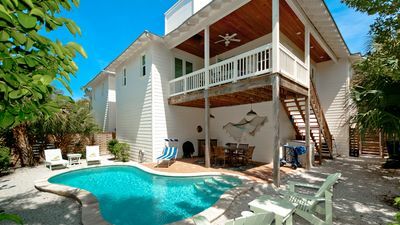 4 of the bedrooms have cozy king beds, all with bathrooms attached. The 5th bedroom has 3 sets of bunk beds. 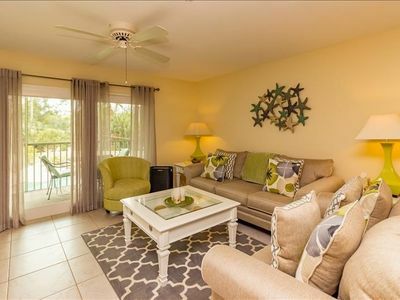 There are 2 bedrooms on the first level of living, and the remaining 3 bedrooms are on the 2nd level of living. 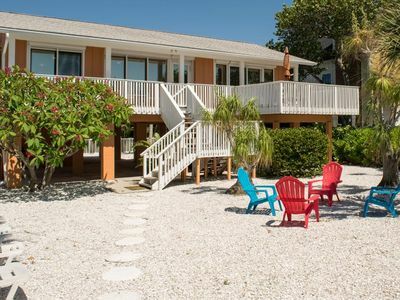 After a long day of fun in the sun, you can watch the sunset on your dock or ride your bike to walk the beach. 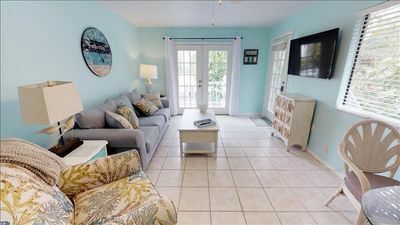 Or get cozy on the couch and watch the sunset through the large windows with stunning views right from the living room. 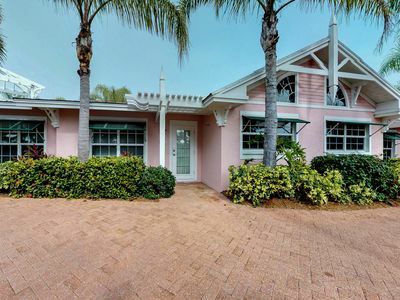 Enjoy eating dinner at your large dining room table with stunning views of the Bay after cooking in the gourmet kitchen or grilling out with the provided propane BBQ. 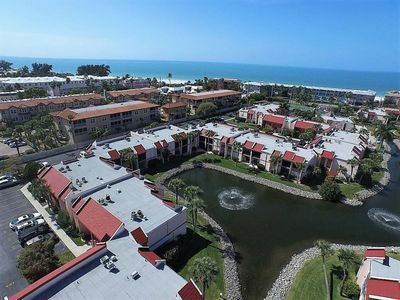 The huge roof top deck has 360 degrees of incredible views of the Gulf of Mexico and the intercoastal waterway with views of downtown Sarasota. 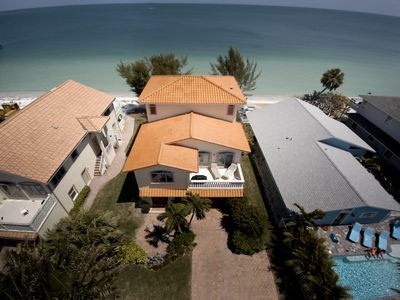 This home has all the amenities you will want for your getaway – your own private heated pool and spa, an Xbox gaming system, a ping pong table, a beach wagon to tote the provided beach chairs down to the beach just a short stroll away, a large dock with access to the Gulf of Mexico just a 5 minute boat ride away, and beautiful furnishings throughout the home. 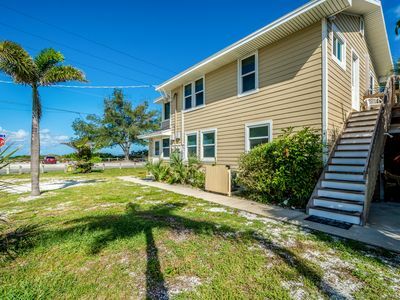 It is conveniently located by a free trolley stop for quick access to the entire island. The only thing you need to pack is your bags and some sunscreen!! 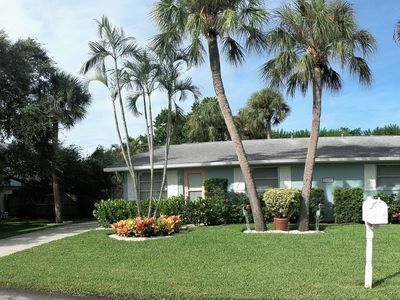 Updated/modern 2/2 Condo Beach To Bay Complex Huge Pool Tennis Sandy Beaches!! 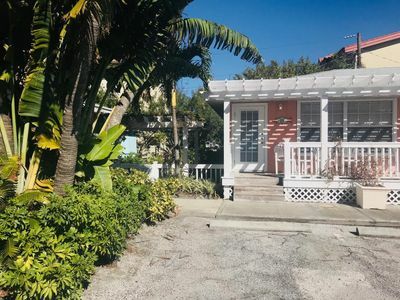 Newly remodeled cottage w/private pool and easy beach access. WILL BE READY FOR THE 2019 SEASON!!! 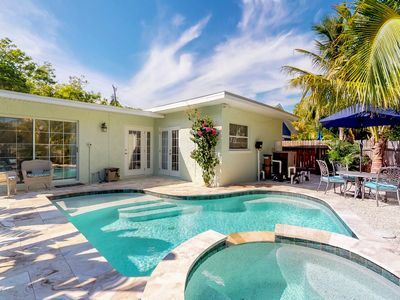 Amazing 360 degree Water Views from Roof Top Deck! 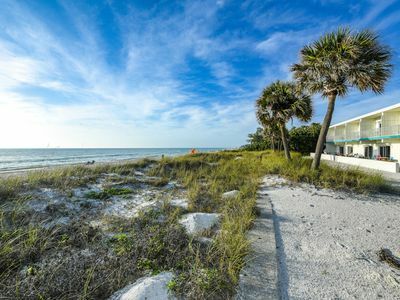 Steps to the Beach! 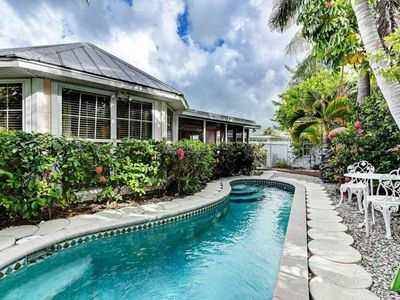 Lovely Key West style cottage perfectly situated on beautiful AnnaMaria Island. 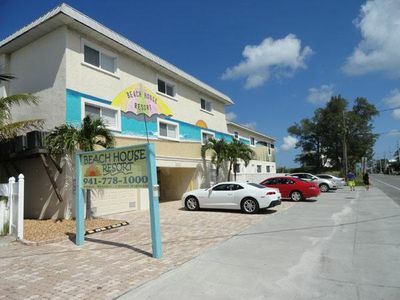 *** NEW ARRIVAL *** BEACH TOWNHOUSE 105 2 BEDROOM 2.5 BATH - SPLIT LEVEL "GREAT BEACH LOCATION " !!! !